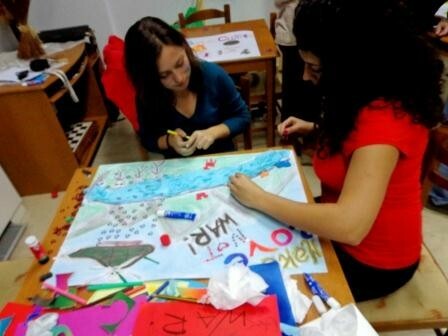 A youth exchange project “Threat others the way you want to be treated” was implemented from 16th until 22nd of November 2012 in Koukli, Greece. 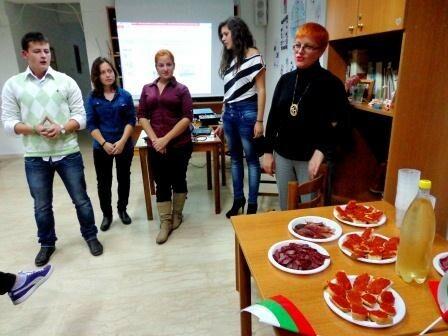 The project was created under Youth in Action programme; there were 30 participants from Greece, Poland, Bulgaria, Romania, Turkey and Italy taking part in the project. 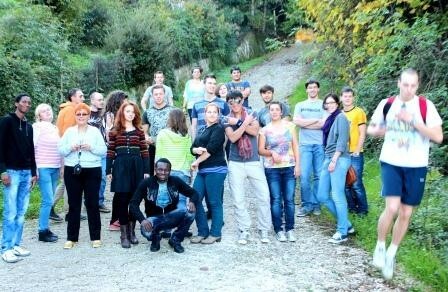 During the youth exchange project, all participants stayed together in order to integrate with each other and to take part in common activities. All activities were based on non-formal learning methods – there were many exercises, group works, presentations, role games, theatre plays, drawing, simulation exercises, brainstorming and much more. 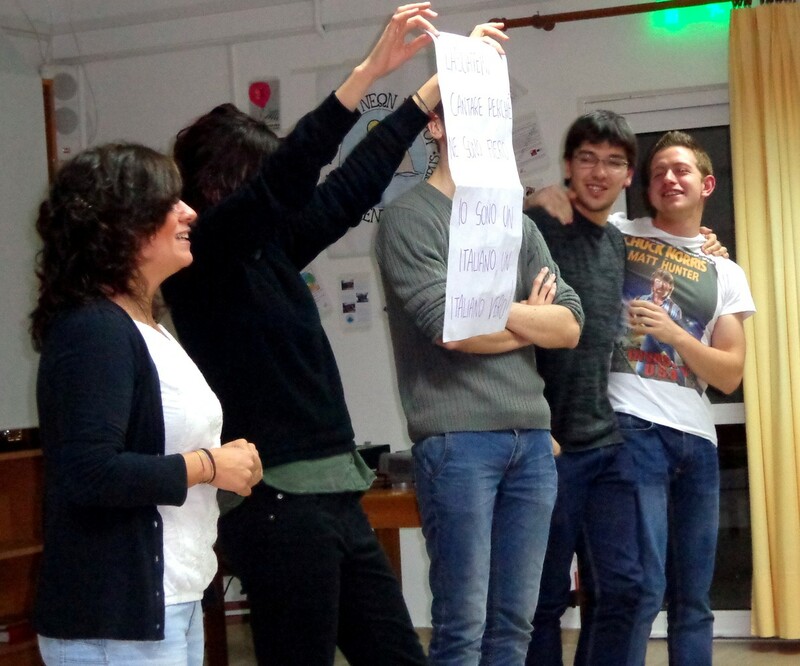 All activities were designed for participants to learn more about anti – discrimination and human rights and to exchange their personal experiences in general. 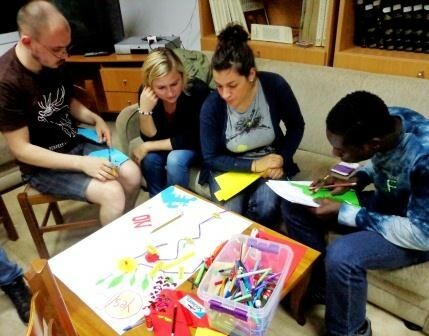 During the exchange, participants designed many big size posted about topic of human rights. All these posters are in exhibition called “Human Rights Street” in the main entrance hall of municipality of Epirus in Ioannina. In order to learn about each other’s cultures, each national group of participants presented their country and culture to others. 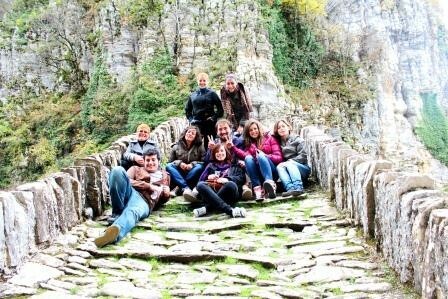 Special impact was put on introduction of participant with Greek culture, therefore the whole group of participants visited several places in Epirus – Koukli, Aristi, Monodendri and other villages of Zagori area, Perama village and the cave of Perama, ancient village and archaeological place of Dodoni and town Ioannina. The way how we spent this week, was good, because we learned things not in the typical way of learning, which can be boring. I think everyone here learned some things about discrimination. Michal, Poland. We spent one week in a really open atmosphere, everyone could express himself. Environment was really peaceful, perfect for such event as this youth exchange. Alessandro, Italy. The group atmosphere during the youth exchange was positive. People were tolerant to each other; I believe we all enjoyed our shay in Koukli. We have had a lot of fun. Nellie, Bulgaria. This youth exchange was very important experience for me; it was a pleasure to participate. And I met very interesting and also funny people during the exchange. Ali, Turkey. The program of the exchange was very interesting. I learned a lot of new things. This was my first time when I participate in such project, and I hope, not the last. I enjoyed the time I stayed in Koukli with other participants. Serghei, Romania. 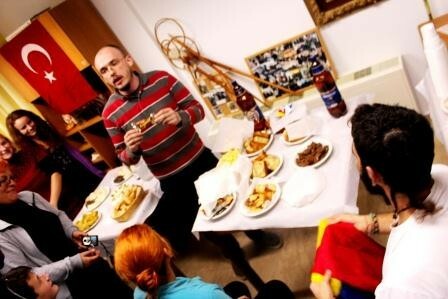 This youth exchange was a great opportunity to meet new people, to learn about cultures of other countries. We had a really nice and open minded atmosphere during the exchange. Stefanos, Greece. Municipality of Pogoni in Epirus of Greece for hosting the exchange and giving the support, to KTEL Ioannina and Pamvotis travel for transporting the participants of the exchange safely from place to place.